Zack Snyder‘s Justice League is still a little less than a year away, but as all who have seen the trailer know, the tone will be considerably lighter and more fun than previous DC Comics films. Today, we had an exclusive chat with actor Jeremy Irons at the Assassin’s Creed junket and asked him if the tonal course correction since the poor reception of Batman v Superman: Dawn of Justice has made him change the way he plays Batman’s faithful butler Alfred Pennyworth in Justice League. Not changing Alfred is a good idea, as his tough, sarcastic Alfred was one of the few universally-praised aspects of the film. It’s also interesting to note that Irons makes it clear that he will be interacting with more than just Bruce Wayne in the film, so we can’t wait to see a scene between him and Wonder Woman, Flash or Superman. Ben Affleck, Henry Cavill and Gal Gadot will be reprising their roles as the DC Trinity, Batman, Superman, and Wonder Woman in Warner Bros.‘ Justice League, and joining them are Jason Mamoa as Aquaman, Ray Fisher as Cyborg, and Ezra Miller as The Flash. Amber Heard will debut as Mera in this film before moving to the solo Aquaman movie in 2018, with Willem Dafoe appearing as Atlantean Vulko, J.K. Simmons playing Commissioner Gordon and Ciarán Hinds as chief antagonist Steppenwolf. Directed by Zack Snyder (Batman v Superman: Dawn of Justice), Justice League will debut in theaters on November 10, 2017. 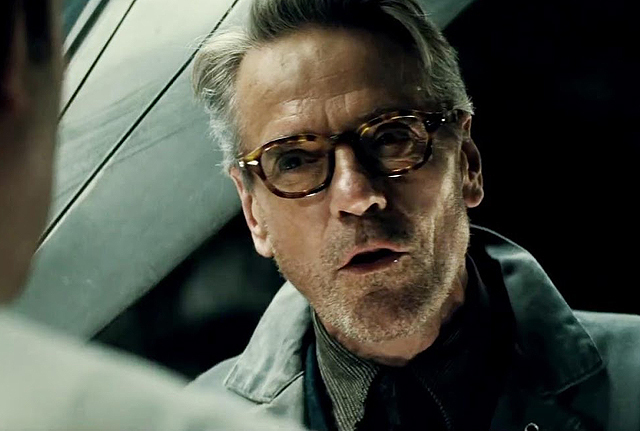 What do you think of Jeremy Irons and his role in the expanding DCU? Let us know in the comments below!